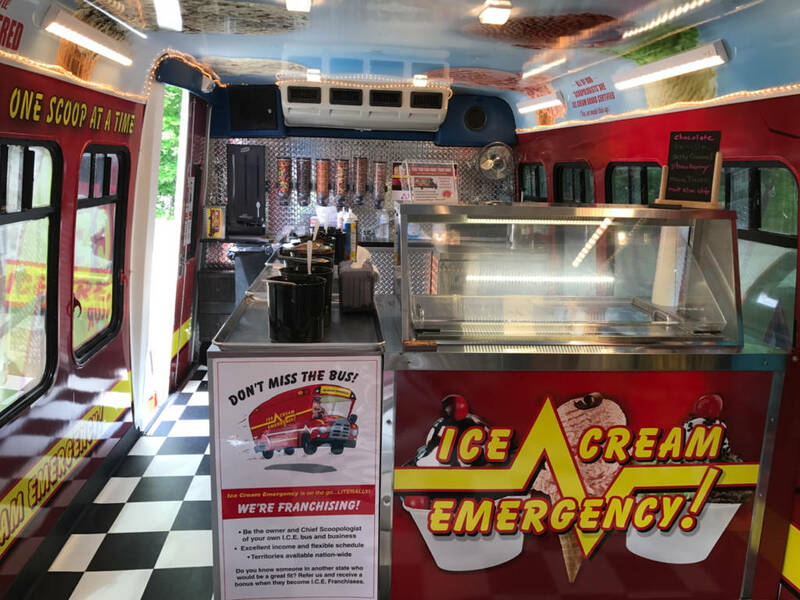 Yes, You Can Own an Ice Cream Emergency Franchise! Do you like making people happy? Are you looking for a “happy job?” Do you want to be in business for yourself but not by yourself? Do you need a flexible schedule? Ice Cream Emergency is offering a select number of franchises nationwide. We are looking for motivated people to help us expand our brand of themed, mobile, ice cream parlors across the nation. We deliver the fun to events! World-wide appeal - everyone loves ice cream! What makes ice cream emergency special? 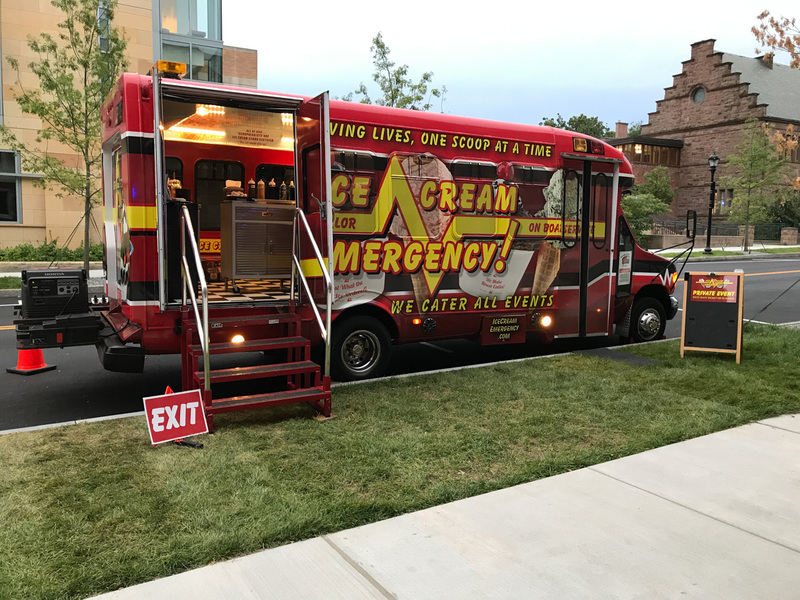 Ice Cream Emergency is a uniquely themed, full service, ice cream catering business. Clients hire us to attend their private functions (weddings, corporate events, school functions, birthdays, etc.) to bring delicious ice cream and fun to their events. The business can cater all year long as the bus interior is climate controlled and the guests are served inside. 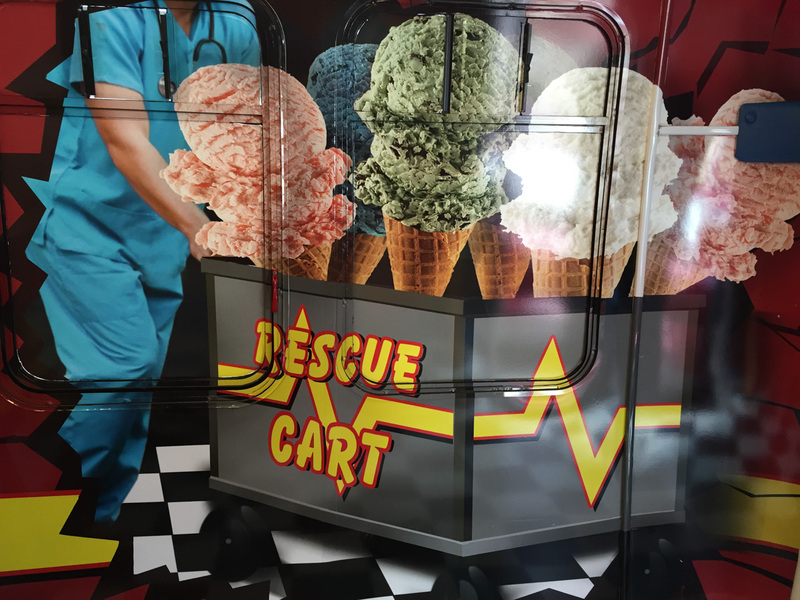 The vehicle is a large shuttle bus, retrofitted, and custom wrapped inside and outside as a “whimsical” ice cream themed rescue vehicle. 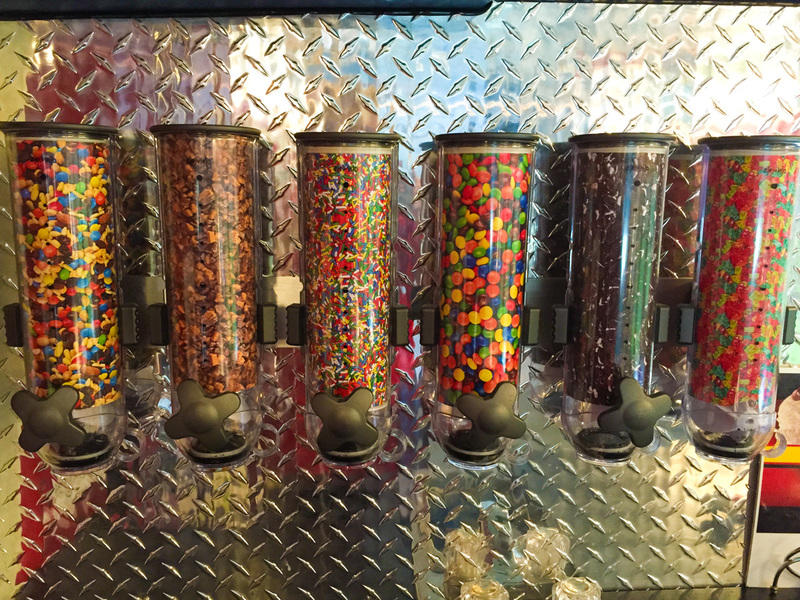 Our passion for making people happy and bringing happiness (and delicious ice cream! ), in a unique fashion to events, along with superior customer service, set us apart from any competition. Ice Cream Emergency has assembled an experienced support team to take ICE CREAM EMERGENCY to the next level by offering a comprehensive training program and ongoing support to each individual franchisee. The first step toward owning your own ICE CREAM EMERGENCY franchise is to submit your request for information. 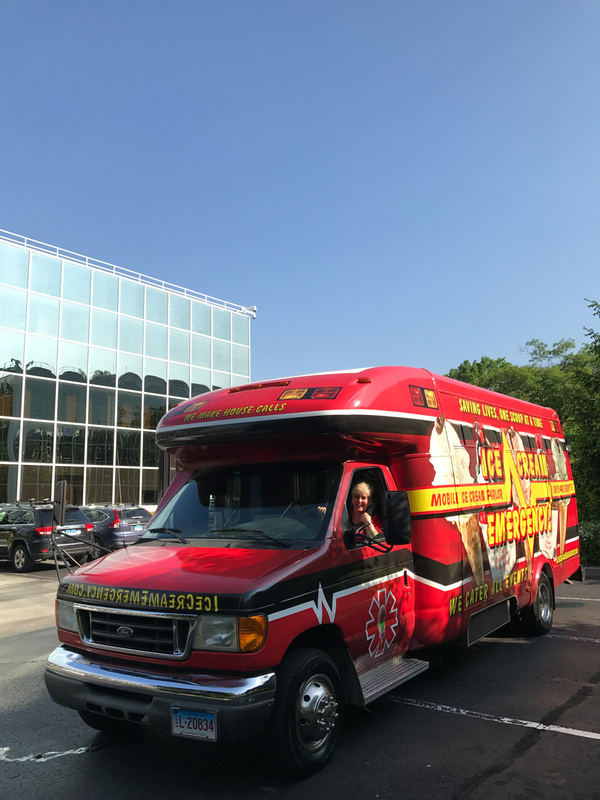 Our ICE CREAM EMERGENCY Franchise Development manager will then contact you to provide an introduction to ICE CREAM EMERGENCY and discuss how to get started toward owning your own franchise. The next step in the ICE CREAM EMERGENCY approval process is to submit your Confidential Application. Once you are preliminarily approved, you will work with our Franchise Development Manager to review your plans to develop and operate an ICE CREAM EMERGENCY franchise. After our team at ICE CREAM EMERGENCY reviews your application, we will provide you with our Franchise Disclosure Document, typically referred to as the FDD. The FDD document is required by the Federal Trade Commission and explains an ICE CREAM EMERGENCY Franchise in detail. We strongly recommend that you review this document thoroughly, as it contains highly pertinent information regarding the background of ICE CREAM EMERGENCY, our franchise program, and a preview of any documents you will sign when becoming a franchisee. Our Executive team and Development Manager will be available to answer any of your questions related to the Franchise Disclosure Document. One of our founders will initiate an evaluation call to answer any questions that you may have. In addition, this interview will be conducted to ensure compatibility of both parties to work together as a team to achieve personal and company goals. After a favorable interview call, you will be invited to visit our corporate location for an insider’s look at the Ice Cream Emergency brand. The discovery day allows you to meet the team, tour an ICE bus, and better understand the model. Of course, ICE cream is always included. Upon final approval by our executive team, the next step in the process will be the signing of your franchise agreements and paying the franchise fee. Once we have countersigned your agreement, you will officially be an ICE CREAM EMERGENCY Franchisee. Our development team will begin working directly with you to successfully get your franchise operational!